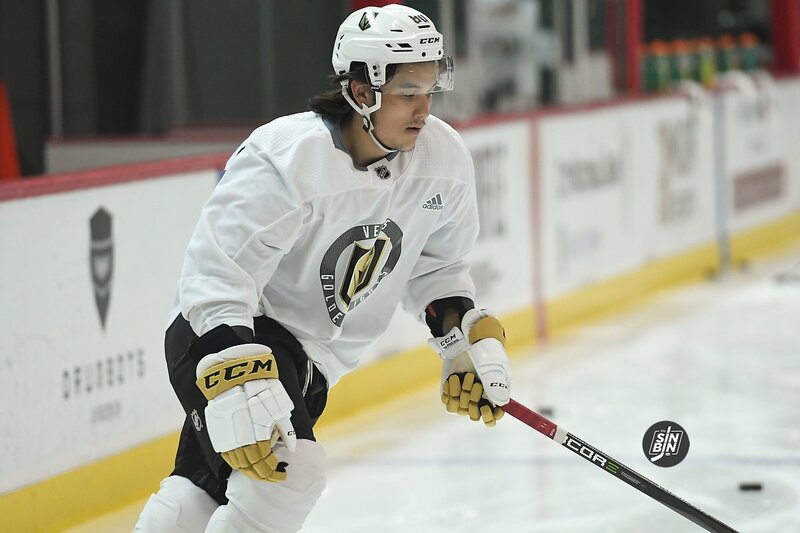 Forward Tyler Wong is currently in the middle of his second rookie camp with the Golden Knights after spending last season in the AHL with the Chicago Wolves. 21-year-old Wong is right about the tough transition from major junior leagues to the AHL. A TSN study shows the percentages of late round draft picks to go from juniors to the AHL to the NHL is very low. A 7th round draft pick has less than a 10% chance of skating on NHL ice. For Wong the odds are even longer. He went undrafted. I would consider myself a helicopter Dad, and I’d probably be a helicopter GM as well. The AHL has progressed drastically over the years but like Wong mentioned, older journeymen type players are fighting for ice time or even a spot with the team. Sometimes that means literal fighting, but I also equate it to heavy (dirty?) hits, banging along the boards, and overly physical play. That makes me nervous for highly invested prospects. However, the AHL is the definitely right league for a player like Wong to develop and beat the odds. And that’s what Wong plans on doing in camp, battle, and convince the team he’s not only a pro player but an NHL player. While his stats weren’t great last season with the Wolves (54 Games, 3 Goals, 4 Assists, -11) the Alberta native is confident there’s plenty of room for improvement. He may not be one of the Golden Knights coveted prospects but Wong is out to prove he can be.